Our market share is growing continuously due to consistent quality and taste of our products. Consistency in supply of milk, Best quality Milk, Easy availability and Natural taste of Vatsalya Milk has helped us in achieving significant market share. Our other products like Vatsalya Shrikhand, Vatsalya Ghee, Vatsalya Paneer, Vatsalya Dahi, Vatsalya Lassi, are also easily available in market. The milk products are marketed through the company's outlets. At the dairy farm, the company produces milk and milk products while in the market it sells 'a healthy way of living' - a fact reflected in its ever-burgeoning population of healthy customers. 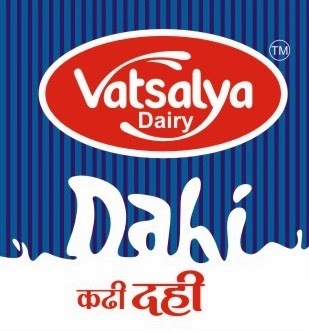 Yashashree Food Product is fast growing dairy milk products manufacturing company in Pune area. All products are Frozen Milk Products and can be utilize up to 90 days. We are processing around 2500 Lit of Milk every day. Vatsalya Dairy. Simple theme. Theme images by nicodemos. Powered by Blogger.